If you could switch ‘job’ places with anyone for a day, who would it be? There’s a few on my list. 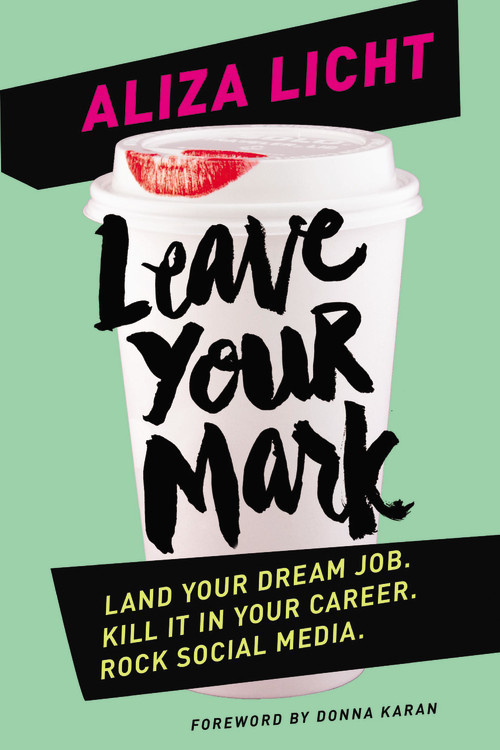 One is the lovely Aliza Licht, author of this fabulous new book Leave Your Mark, Ted Talkeree, and the brains behind the hugely popular DKNY twitter DKNY PR Girl. Reasons for making the switch list? Did I mention New York? Back to reality, and since the job swap is looking a little far-fetched I have to settle with following Aliza via twitter and reading (twice already!) her new advice / mentorship book. I loved the straight-talking advice, sass and smarts in this book – exactly what you’d want from your very own mentor. 3. Forget climbing the ladder and build your own!